Governor Ed Murphy invites you to celebrate at the Second Quarter District Meeting on January 21-22 in Bellevue, WA. 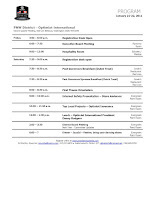 Click on the program to enlarge and print. 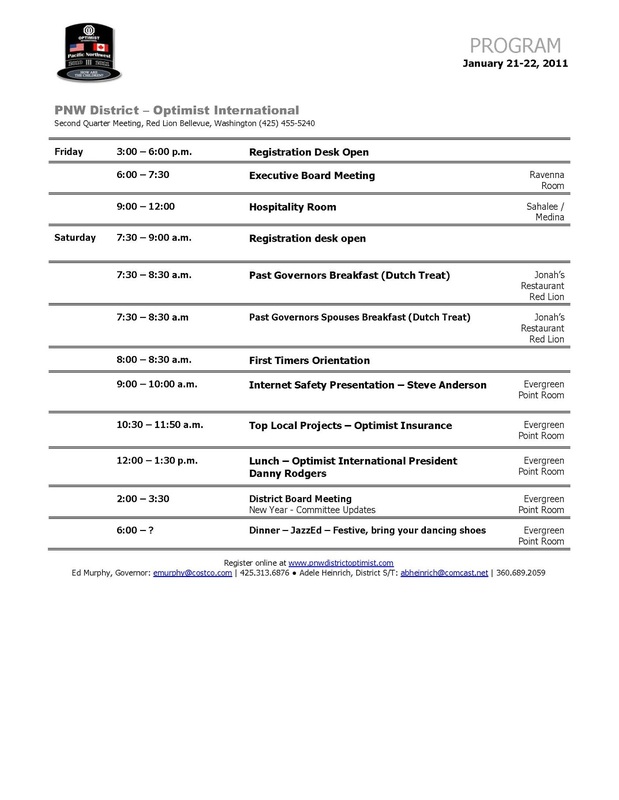 Don't forget, if you can arrive a few days early, you can also participate in a Targeted Growth Conference to start new Optimist Clubs in the Seattle area. The Growth Conference is being led by Optimist International President Danny Rodgers and New Community Growth International Committee member Mark Weinsoff. Click here to learn more.